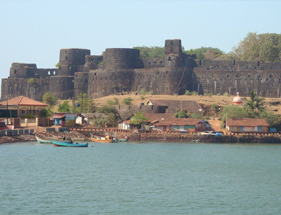 One of the biggest forts in the coast, Vijaydurg Fort is located at the mouth of the Vaghotan River separating the districts of Ratnagiri and Sindhudurg. The fort was earlier named as Gheri as it was enclosed on three sides by the sea. It is built using laterite stones while its features make it highly admirable due to its striking charisma.